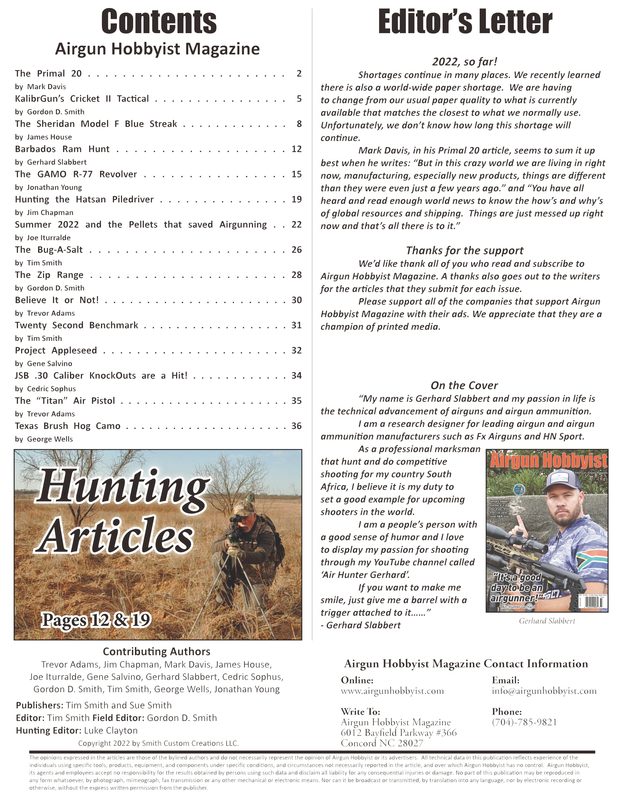 Airgun Hobbyist is a 48 page full color magazine published quarterly in the US dedicated to airguns. We regularly features articles on new products, vintage airguns, collections, hunting and much more. Each issue contains articles from experienced airgun writers Jim Chapman, Jock Elliott, Larry Hannusch, James House, and Luke Clayton. 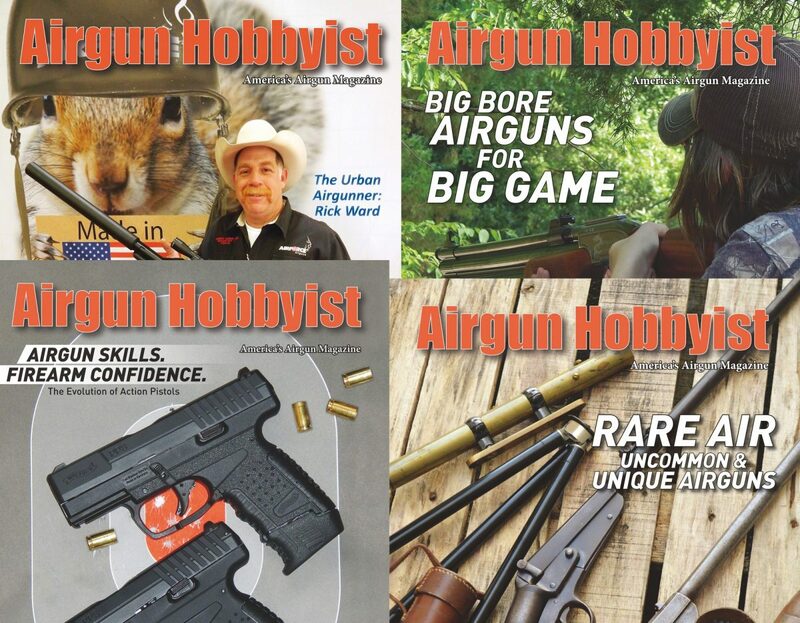 The Airgun Hobbyist Magazine is a compendium of the airgun community and its world presence. The scope of the articles provide an outstanding knowledge base of talent and experience. Given the challenges facing the firearms community these days, the airgun community enjoys an economical advantage. We all aim to do better and in this instance, the airgun alternative can be a very rewarding experience. Click here to view sample articles. 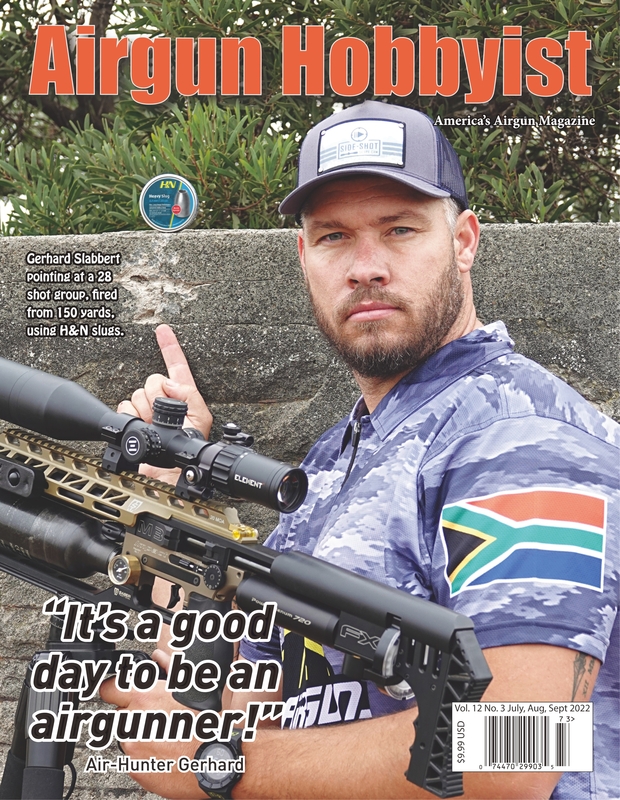 Get the latest issue of Airgun Hobbyist for $9.75, in the US. Start a new subscription for $28.75, in the US, and get the current issue as well as the next 3 issues. Existing subscribers may renew their current subscription for $26.00, in the US. New Subscriptions/Renewal $39.00 US includes First Class shipping as well as the next 3 issues. New Subscription/Renewal $60.00 US includes First Class Shipping as well as the next 3 issues.